How To Tune and Maintain Your Autoharp! 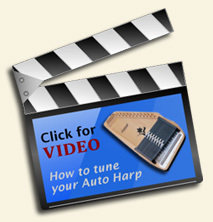 Welcome to our Autoharp "how-to" page. In this section, we outline all the necessary steps for tuning and maintaing your Autoharp properly. All files are in Adobe PDF format. If you do not have the adobe reader, please download it from the Adobe homepage.